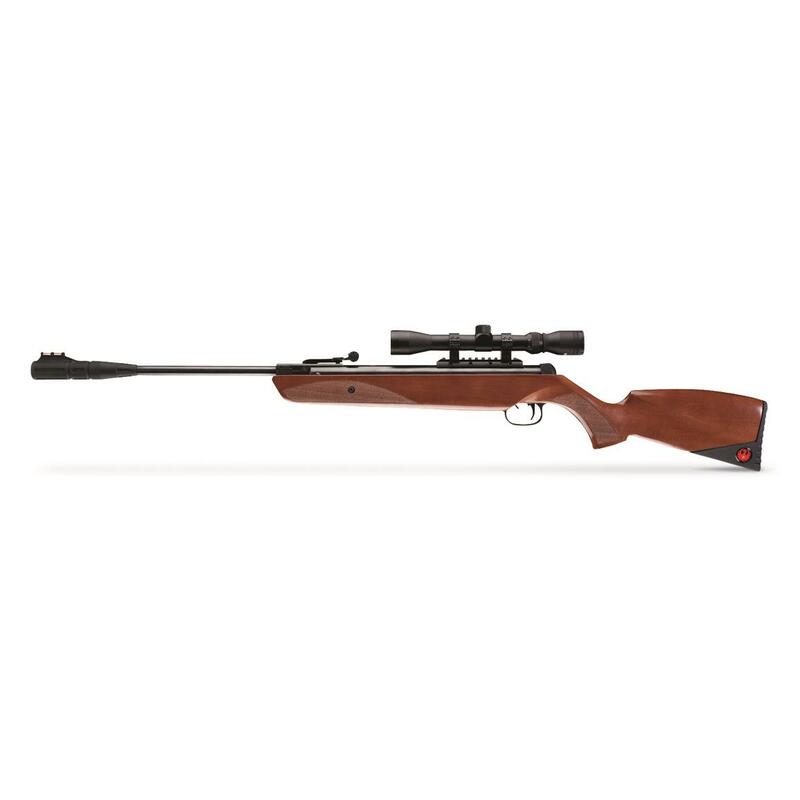 For punching paper or taking out pests, the Ruger® Yukon Magnum Air Rifle is an excellent choice. It's equipped with a 16.25" rifled barrel and ReAxis gas piston power plant that zings pellets downrange at up to 1,150 FPS. Plus, its 3-9x32mm scope and SilencAir 5 Chamber Noise Dampener will quietly put you on the mark with dead-on accuracy. 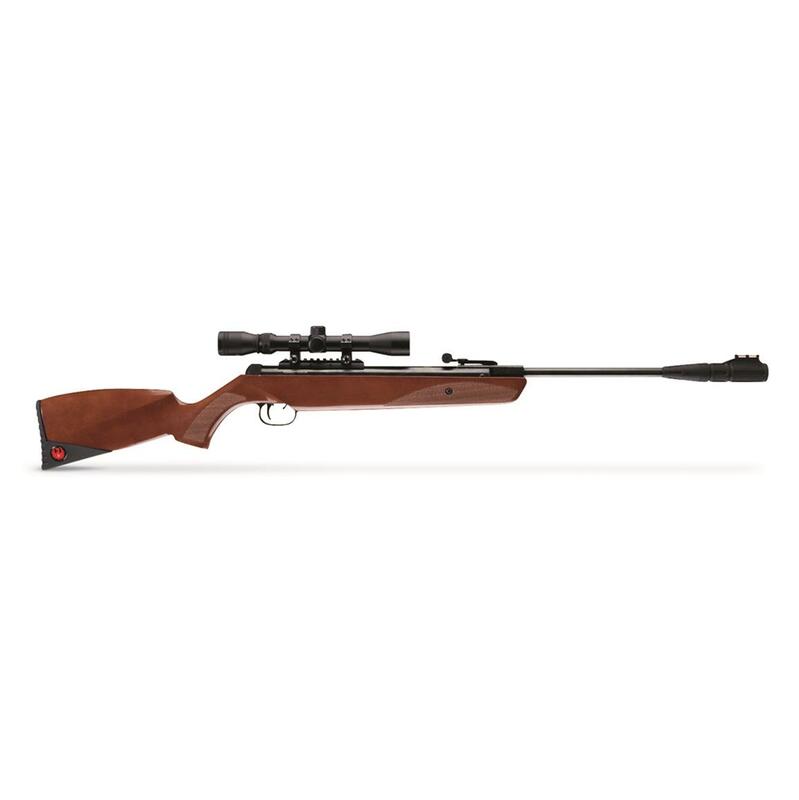 Ruger Yukon Magnum Air Rifle, .177 Caliber, 3-9x32 Scope is rated 4.0 out of 5 by 1. Rated 4 out of 5 by renegadchevy from Excellent rifle, Scope is useless The rifle it's self is great, well made, feels solid. Nicely crafted solid stock. Smooth action. The power the piston supplies is good for 150 plus feet. The reason I dropped a star is because the Umarex scope sent with the rifle is useless. It won't allow you to site it in. Maybe it's defective but who cares. I expect it to be at least functional and it's not. I'd recommend the rifle but the scope is junk, at least to me.